With the holiday season upon us, we’d like to encourage our loyal readers to shop local and buy gifts that support our Colorado neighborhoods. Today we’re giving a shout out to our favorite independent bookstore, The Bookery Nook, located at 4280 Tennyson Street in Denver. You may remember that The Stasko Agency worked with The Nook in May last year to help them kick off their grand opening event. Owners Shannon and Gary Piserchio have done a fantastic job growing their business since opening their doors last spring. Selling much more than books, this dog-friendly bookstore is a one-stop shop for creative cards, specialty candy, kid’s toys and unique handcrafted items by local vendors. The Nook also hosts numerous author and speaker events that appeal to every age group. Their most recent series covers topics relating to sustainability (read more here). To make holiday shopping even easier, The Bookery Nook has started a Wish List Program where you can keep a running tally of all the titles that have caught your eye. The Nook has over 2,000,000 titles available to them, and if someone picks a book for you that isn’t in stock, they’ll have it in the store within 4 business days. And finally, for grins and giggles, check out one of the new Bookery Nook ads (taken by Shannon herself) featuring our very own Shelby Arnold. Isn’t it fabulous? See more on the Bookery Nook Blog. 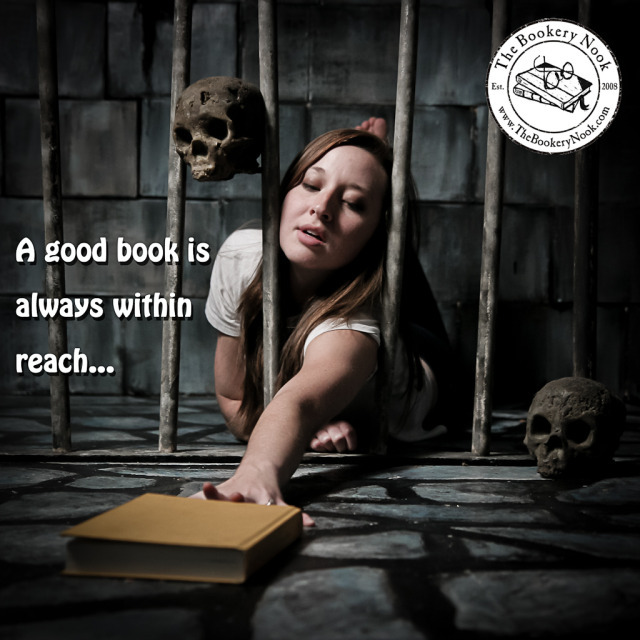 Just a reminder that a good book is always within reach. Especially if you shop at The Bookery Nook. Wow – thanks so much for thinking of us and including us in your newsletter; we really appreciate it! Happy Holidays to everyone at the Stasko Agency from everyone at The Bookery Nook!